Now that I’ve retired I have a lot more time to do, well, whatever I like. But for many years holidays were difficult to squeeze in. Luckily my wife, who has always been far better at knowing what’s important than me, forced me to book time off way in advance and stick to it. If you wait for the right time to take a week or two off the chance might never come, she would say. And yes I admit it - she was right. I know lots of people who think work is too important or too demanding to take some time off and years can go by without a decent holiday. Anyway, when we did get away I would always want to cram as much as possible in to every day so wrote lists on the plane that I would joyfully tick off over the next few days. While sorting out my desk this morning I came across one of these lists from when we were first visiting Faro. I thought you might like a look as even now several years later these are some of my favourite things to take friends to do when they come to visit. Otherwise known as Faro Cathedral this 13-century old town gem is a melting pot of cultural influences including Gothic, Baroque and Renaissance. Head to the bell tower (a favoured spot for storks) to see views over the city, the coast and the islands. Then pop indoors to see the alter, chapel and tombs. 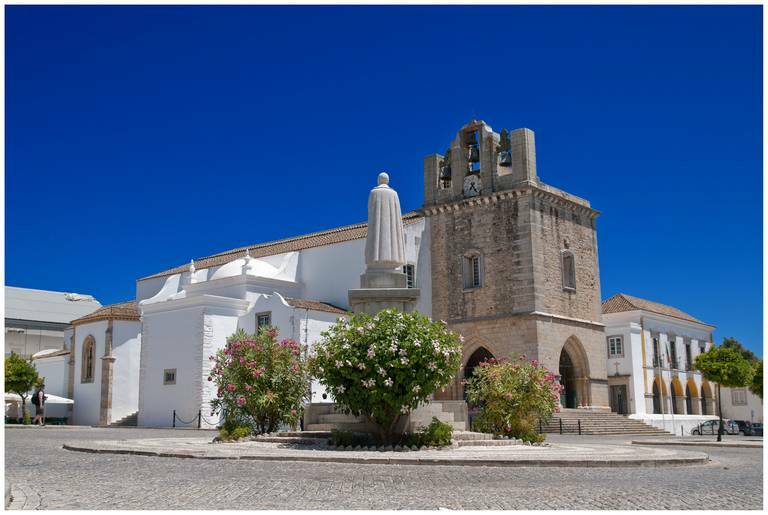 If you’ve got time while inside the thick stone walls of Cidade Velha go to the Faro Municipal Museum, a former convent that now houses 2000 years of local art and history. A friend recommended this particular walking route and we loved it. Start at Mercado Municipal, a market selling olives, cured meats and custard tarts then head to the Carmo Church to see the Chapel of Bones. An apt name because the walls are covered in more than a thousand human skulls! 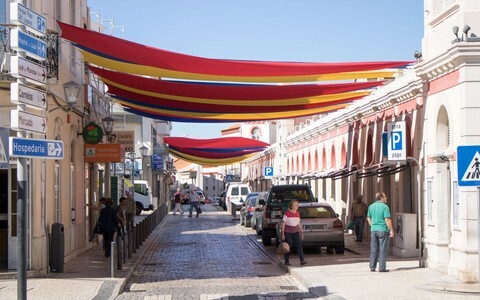 From here stroll down the colourful Rua Boavista to the Capuchos Convent and then on towards the jewellery shops and outdoor cafes of Rua Conselheiro Bivar. Keep going and you’ll end up at your final destination - the marina. Restaurants that stick around for many years usually do so for a reason. A good reason. Faro e Benfica at Doca de Faro has been a favourite with locals, and me, for ages. First timers stare at the views over the old town right up until the moment the lobster, razor clams and other freshly caught seafood treats are brought out. We loved it so much that we went again the following night and many many times since. 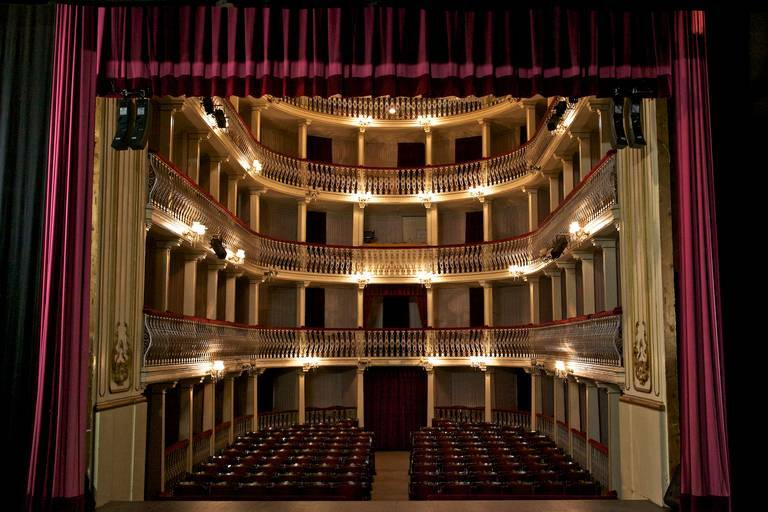 If you walk up the Rua de Lethes you’ll find the Lethes Theatre. Once upon a time it was a Jesuit college but in 1855 it reopened as a beautiful little theatre. It’s worth a visit even if there’s no show to watch but have a look at the timetable before your holiday as they may well be something worth watching. There’s also a couple of lovely little cafes very close by overlooking the marina. 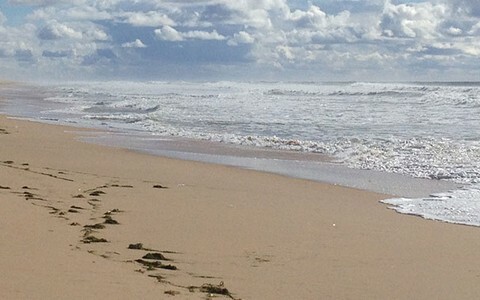 Catch a boat out from the Porta Nova Pier to Ilha Deserta – part of the Ria Formosa Natural Park. Especially if you like birds as this area has 270 different types to spot including flamingos. This is a protected natural wonderland with lagoons, tidal flatlands and seashell islands. Ilha Deserta has a very pleasant walking trail and on this walk you’ll find Santa Maria Cape, famed for being the southernmost point in Portugal.